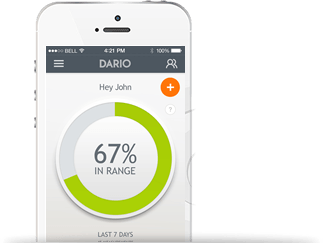 Boston, MA – July 19, 2016 – LabStyle Innovations (NASDAQ: DRIO) – a leader in digital health and mobile health solutions and the developer of the Dario™ Smart Diabetes Management Solution – today announced that since the U.S. soft launch in March, the Company has seen rapid market penetration, including better than 100% growth per month in users during the second quarter. 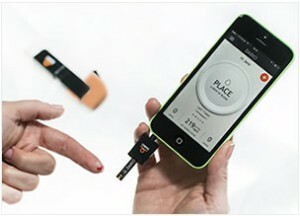 This traction initiated by a soft launch has ramped during the second quarter, as 3,000 of the devices were purchased in June alone, representing 200% growth over the soft launch period initiated at the second half of March, 2016 in the U.S.
LabStyle Innovations established a direct-to-consumer business model in the U.S. to achieve a higher and faster penetration rate into this market during the launch phase. This model has been applied by a digital marketing strategy. The combination of an innovative and highly engaging product with an attractive business model that allows users join Dario as subscribers with attractive pricing, makes the direct to consumer digital channel very successful. The Company has invested in a robust digital marketing department with in-house platforms, experienced personnel and robust infrastructures to support expected growth of users and online subscribers in this market. The current efforts are focused on expanding its digital traffic sources in order to widen its online presence and exposure to potential customers moving forward to achieve a higher rate of user acquisition to support the Company’s revenue goals. LabStyle Innovations’ flagship product, The Dario™ Smart Diabetes Management Solution, is a platform for diabetes management that combines an all-in-one blood glucose meter and a robust, real-time native smartphone app that includes a wide variety of tools to support and engage users living with diabetes, their doctors and the healthcare system. This news release and the statements of representatives and partners of LabStyle Innovations (the “Company”) related thereto contain or may contain forward-looking statements within the meaning of the Private Securities Litigation Reform Act of 1995. Statements that are not statements of historical fact may be deemed to be forward-looking statements. Without limiting the generality of the foregoing, words such as “plan,” “project,” “potential,” “seek,” “may,” “will,” “expect,” “believe,” “anticipate,” “intend,” “could,” “estimate” or “continue” are intended to identify forward-looking statements. For example, when the Company describes its growth strategy, says that it will disrupt the diabetes monitoring industry, and says that it expects U.S. sales to have a significant impact on revenues and gross margins, it is using forward-looking statements. Readers are cautioned that certain important factors may affect the Company’s actual results and could cause such results to differ materially from any forward-looking statements that may be made in this news release. Factors that may affect the Company’s results include, but are not limited to, regulatory approvals, product demand, market acceptance, impact of competitive products and prices, product development, commercialization or technological difficulties, the success or failure of negotiations and trade, legal, social and economic risks, and the risks associated with the adequacy of existing cash resources. Additional factors that could cause or contribute to differences between the Company’s actual results and forward-looking statements include, but are not limited to, those risks discussed in the Company’s filings with the U.S. Securities and Exchange Commission. Readers are cautioned that actual results (including, without limitation, the timing for and results of the Company’s commercial and regulatory plans for Dario™) may differ significantly from those set forth in the forward-looking statements. The Company undertakes no obligation to publicly update any forward-looking statements, whether as a result of new information, future events or otherwise, except as required by applicable law.